Interactive, educational programs are available as add-ons to each exhibit and can be tailored to complement the exhibit of your choice at your location. Nano is an engaging and interactive mini-exhibition about nanoscale science, engineering, and technology for family audiences. Explore hands-on activities to discover the importance of things too small for the eye to see in nanoscale science. or recommendations expressed in this material are those of the author(s) and do not necessarily reflect the views of the National Science Foundation. Footprint: 400 square feet. The mini-exhibition's modular design allows for flexible configurations and layouts. 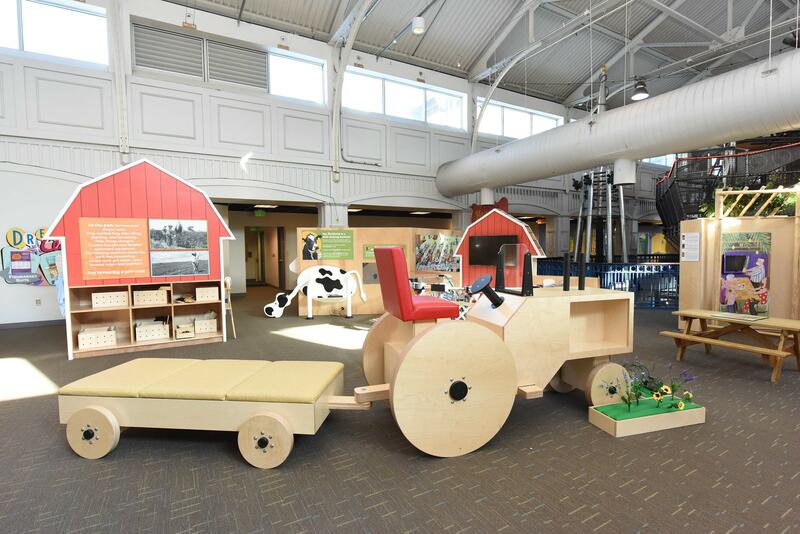 Here We Grow!, Port Discovery’s own agricultural exhibit, introduces children and families to the processes, products, and people who work on farms. Here We Grow! explores farming through themes of science and technology, history, local ecology, global economics, and art. Interactive exhibit components will immerse children and students into the world of farming! Footprint: 576 square feet or 24’ x 24’. The mini-exhibition's modular design allows for flexible configurations and layouts.